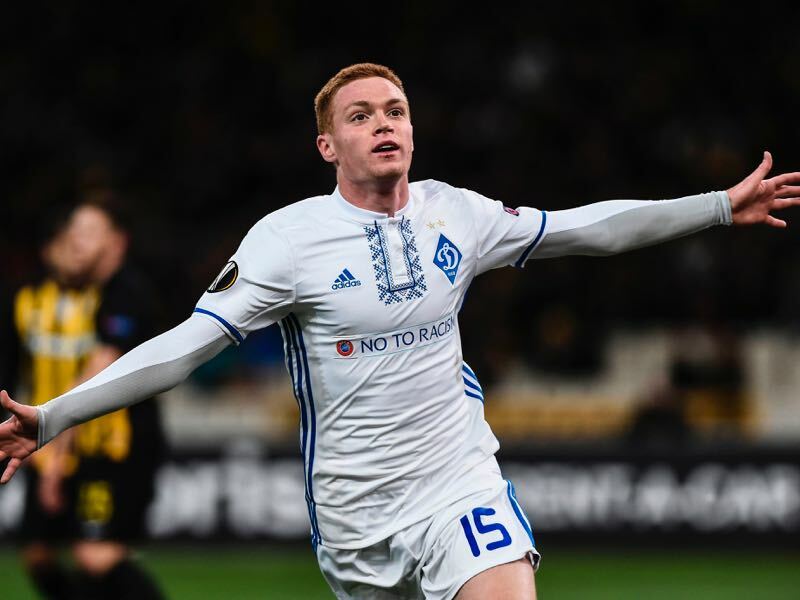 Shakhtar and Dynamo Kyiv are set to renew one of the biggest rivalries in the post-Soviet sport in what is known as the Klasychne derby in Ukraine. Since the fall of the Soviet Union, Dynamo Kyiv (15 titles), and Shakhtar Donetsk (11 titles) have won all, but one Ukrainian championship—Tavriya Simferopol won the inaugural Ukrainian championship in 1992. In fact, the rivalry between the two biggest clubs in the country has often gone beyond sport. The Maidan Revolution and the conflict between Kyiv and the Russian-supported rebels in the Donbass have, however, complicated the relationship between the two clubs. 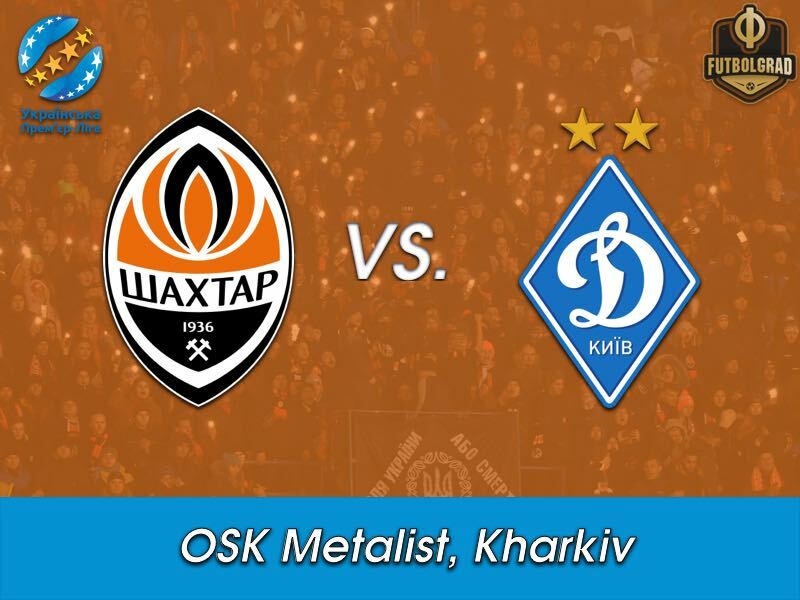 Shakhtar have been exiled from the Donbass and are currently playing their home games in Kharkiv where this latest edition of the all-Ukrainian derby will take place. As of August 3, 2018, there have been 180 meetings between the clubs in various competitions dating all the way back to the time of the Soviet Union. In reality, however, the Klasychne derby between Shakhtar and Dynamo only became a “classic” in the 2000s. During the time of the Soviet Union Dynamo’s biggest rivals were Spartak Moscow and even Dnipro Dnipropetrovsk, who challenged Dynamo’s supremacy of the Soviet Vysshaya Liga in the 1980s was considered a bigger rival than Shakhtar. During the time of the Soviet, Union Dynamo were always considered an all-Ukrainian team – almost like a replacement national team – as head coach Valeriy Lobanovskyi was able to recruit players from all over the Ukrainian SSR to build one of the best teams on the European continent. Shakhtar, in the meantime, represented the Donbass coal and steel mining areas, a workers club that defined itself more by class rather than national boundaries. It was a distinction that would hold up even after the fall of the Soviet Union and would eventually fuel the rivalry with Dynamo that often extended beyond the pitch. The Donbass has always been an industrial heartland, different from the rest of the Soviet Union and after Ukrainian independence from the rest of Ukraine. When the Soviet Union collapsed in 1991, the Donbass Region was the most industrialized and Russified region in eastern Ukraine, especially in the city of Donetsk. The 1989 Soviet census indicated that Russians were the majority in Donetsk at 53.5% of the population, while Ukrainians accounted for 39.4%. The region’s russification is underlined by the language data: the proportion of Russian speaking population in Donetsk was 80.5 per cent. Many of the people in the region did not see themselves as Ukrainians or Russians but predominantly identified themselves as Donetskite (55.6%), while another popular answer was self-identification as Soviet (40%). At the same time, the Donbass were among the most outspoke when it came to Ukrainian independence during the 1991 referendum. Just a few years later as the independence project of the country stalled, however, the people of the Donbass became disillusioned with Ukraine’nation-buildingng effort. In a survey conducted in 1995, half of the respondents in the Donetsk region would have decided against independence if they were given a chance to vote again. This strong nostalgia for the past is also highlighted in how the city failed to move on after Ukrainian independence. In the context of this derby and what happened next in Ukraine, this is important to remember. As the Donbass drifted away from the Ukrainian nation-building project, which would eventually lead to an open conflict after the Maidan Revolution, Shakhtar became a symbol for an entire region. This was aided by the massive financial aid the club received by its owner, the billionaire Rinat Akhmetov. Thanks to Akhmetov’s investment the first league title arrived in 2002 breaking Dynamo’s stranglehold over the UPL. Since then the club has added another nine titles and has become the best club in the country. At the same time, the Russian fueled conflict in the Donbass has forced Shakhtar into exile during the 2013/14 season. 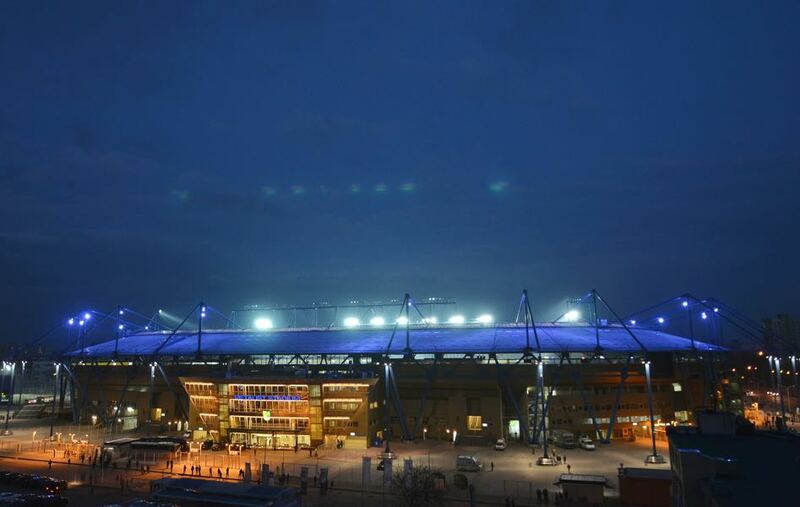 At first, the club struggled with having to play its home matches away from the Donbass Arena. In 2015 and 2016 Dynamo won the title but Shakhtar hit back winning the title in 2017 and 2018. But while the club from Kyiv only finished second in the last two seasons, Dynamo dominated Shakhtar head-to-head winning the last three league matches. Dynamo also managed to win the Super Cup on July 21 and then beat Shakhtar at home at the NSK Olympiyskyi on August 3, in the first of four meetings in the UPL this season. Furthermore, Dynamo would have won the title last season had the club not refused to travel to Mariupol. The Kyiv club were punished by FC Mariupol being awarded three points, which ultimately would have been enough for Dynamo to finish first. At the same time, however, Shakhtar are also to efficient against smaller sides, beating every other opponent in the league like clockwork. As a result, Shakhtar are once again on top of the league with 34 points from 13 games, five points ahead of Dynamo Kyiv. For Dynamo that means that they need to beat Shakhtar on Saturday to keep the league open, a difficult proposal given that Shakhtar will want to end the series of defeats against their biggest rivals. Junior Moraes will be at the centre of everyone’s attention on Saturday. The Brazilian striker leads the league with ten goals in 12 matches and is already kindly compared to previous UPL stars Henrikh Mkhitaryan and Alex Teixeira. But that is not why he will receive the attention from media and Dynamo fans. The striker did the unthinkable last summer by moving on a free transfer from Dynamo to Shakhtar. 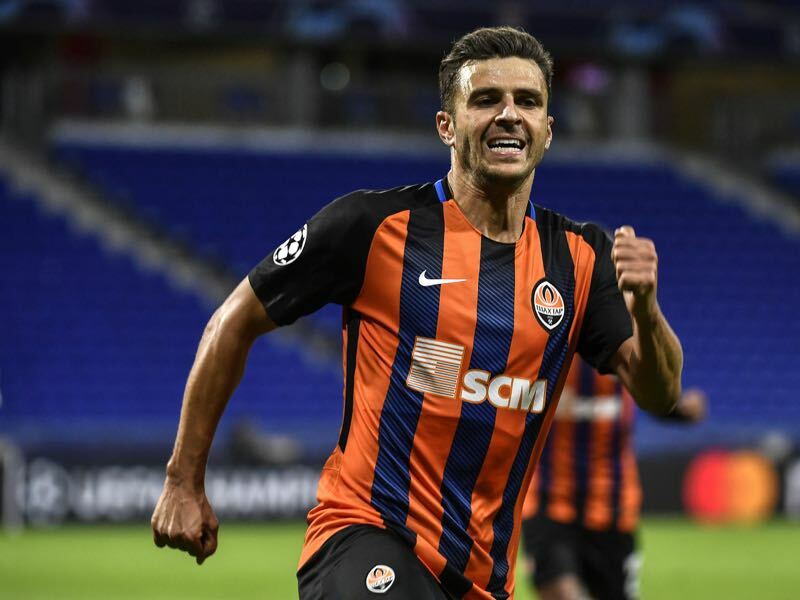 The deal was made even worse after Junior Moraes promised his teammates and Dynamo staff that he would not go to the club’s biggest rivals. As a result, Dynamo fans have refused to shake hands with the striker in the last two games, and it will be interesting to see how fans and Dynamo players will react ahead of this one. Viktor Tsygankov is one of the biggest talents in Ukrainian football. The right-winger has come into his own after the club sold Andriy Yarmolenko to Borussia Dortmund in the summer of 2017. This season he leads the club with four goals and three assists in 13 games, and it will only be a question of time until a club from one of the big European leagues comes knocking. Shakhtar Donetsk have won the last two Ukrainian championships but Dynamo have won four out of the last five Ukrainian Premier Liha matches against Shakhtar. The last time Shakhtar collected a point against Dynamo Kyiv was a 0-0 draw on October 17, 2017. Shakhtar lost the last two Ukrainian Premier Liha matches but beat Dynamo Kyiv in the Ukrainian Cup final in May. In 14 games Shakhtar head coach Paulo Fonseca has averaged just 1.21 points against Dynamo Kyiv (W5 D2 L7). Shakhtar’s record against Dynamo Kyiv in the Ukrainian Premier Liha is W17 D12 L10.